The We-Fi Secretariat issues calls for proposals and manages the technical review process for submitted proposals. Eligible Multilateral Development Banks may submit proposals as per the terms outlined in each call. Technical reviews are conducted by external technical experts identified by the Governing Committee and the Secretariat. The Secretariat provides the technical assessments to the Governing Committee for their consideration. 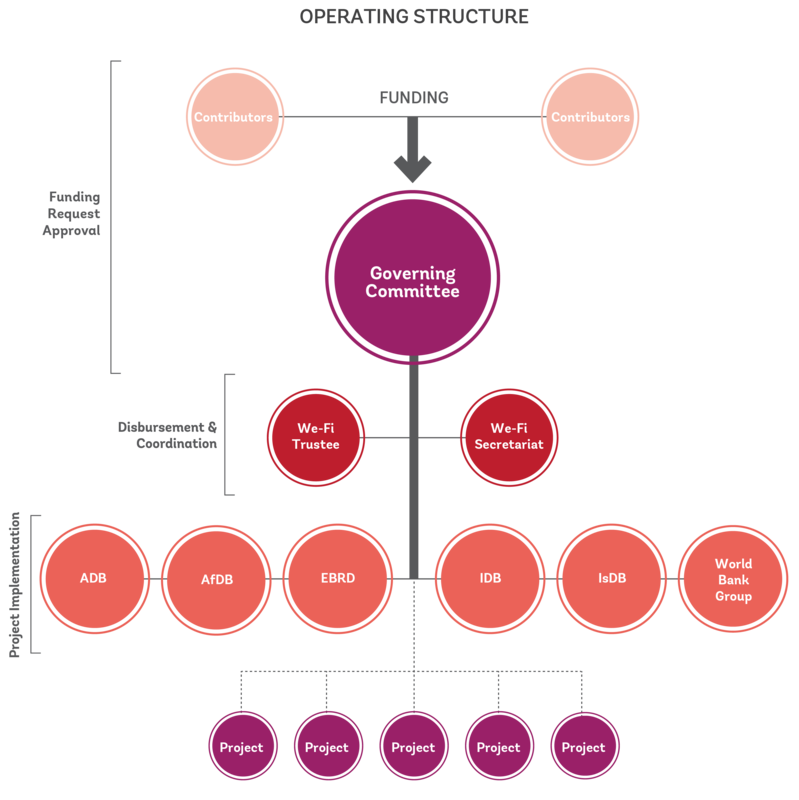 The Governing Committee makes all funding request decisions. 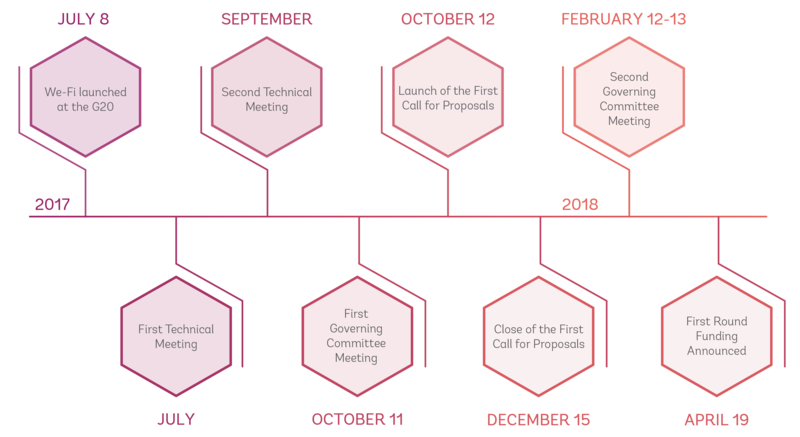 The We-Fi Secretariat calls for proposals periodically. The first approved proposals were announced on April 19, 2018, with $120 million allocated for proposals submitted by the Asian Development Bank, Islamic Development Bank, and World Bank Group. The second call for proposals was issued to accredited Implementing Partners on October 17, 2018. Up to $120 million of financing is available for proposals for global/regional, multi-country, and single country programs/projects. The minimum threshold for a funding request is $10 million. Proposals must be submitted by February 4, 2019 for consideration by the Governing Committee, and allocations will be announced in April 2019. For more information on the second call for proposals, including funding principles, eligibility, and the application process, please refer to the Funding page.